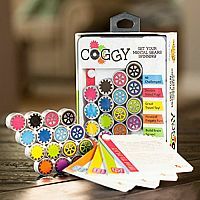 Get your mental gears spinning with Coggy! Shift Coggy through 40 brainteasing puzzles. Bend, rotate, and shape Coggy to match the challenge card you have chosen. Each color must be in the correct space. 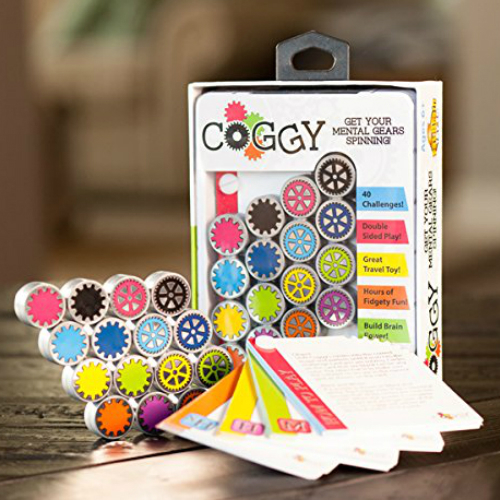 Flip coggy over and go from color to black and white puzzles, it's double-sided fun. 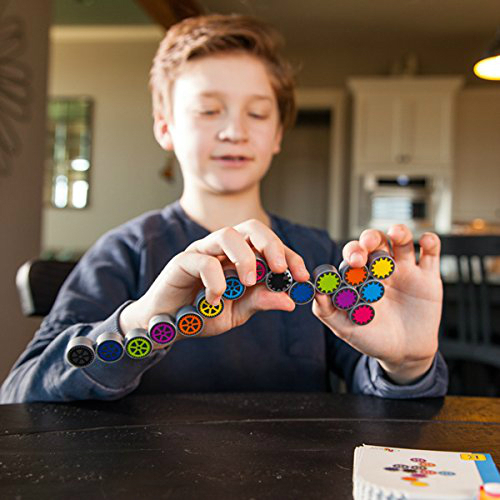 When you're not scratching your head to solve a puzzle, Coggy doubles as an excellent, take anywhere fidget toy. Can you shift the pieces into the correct spots? Feel the gears click as they fall into place! Four levels of difficulty and two ways to play! Measures approximately: 5.00 x 7.75 x 1.25 inches..